The aim of TWJ is to support and guide people to improve their health and wellbeing. I believe that every individual has their own unique balance and that when the balance is maintained the body is healthy. Sadly, finding that balance can be a challenge in today’s busy world, but fortunately it is all possible with the right guidance and support. As a Naturopathic Nutritional Therapist, Functional Medicine Student and Mitochondrial Therapy practitioner, I strive to bring people back to balance and I do this by working within the functional medicine and Mitochondrial Therapy framework. Functional medicine examines the person as a whole by looking at the functioning of each bodily system, rather than a collection of symptoms. Functional medicine is a patient-centered, science-based health care approach that identifies and addresses underlying biochemical, physiological, environmental, and psychological factors in order to reverse the progression of disease and enhance vitality. I spent three years training with the College of Naturopathic Nutrition (CNM) in Manchester to become a Naturopathic Nutritional Therapist. CNM is the UK’s largest training provider of a range of natural therapies and their aim is to provide thorough, practice-orientated training in natural therapies such as Nutrition, Herbal Medicine, Acupuncture, Homeopathy, and Naturopathy. I have also spent time in India furthering my knowledge in Ayurvedic medicine as I feel this ancient ‘life science’ enables us to create individualised treatment plans that closely support each individual’s constitution and life force. I completed my Applying Functional Medicine in Clinical Practice in October 2018 and am currently studying to become a member of the IFM. In 2019 I studied with Dr. Kucera to further my knowledge in Mitochondrial Therapy and now incorporate this as part of the services that I offer my clients. I am registered with the Institute of Functional Medicine (IFM), BANT (British Association for Applied Nutrition and Nutritional Therapy) and also governed by the CNHC (Complementary and Natural Healthcare Council). I became interested in nutritional therapy through my own health challenges. In 2009, shortly after the birth of my second child, I fell ill with Labyrinthitis, which given my history with viral meningitis, anterior uveitis, pleurisy and shingles, seemed fairly familiar and like previous occasions was managed through medication. I was in the midst of writing a dissertation into the early hours of the morning, working full time, whilst being super-mum, and it wasn’t until the second week in January 2010 that my body finally pulled the plug on me. My life literally changed overnight. I went from being a fit, active, healthy individual living my life at 120 mph, to being housebound, bedbound and requiring the use of a wheelchair for a number of years. The weeks, months and years that followed were clouded by blurred vision, slurred speech, pins and needles, muscle twitching, photophobia, intolerance to noise, loss of appetite, and a constant burning sensation all over my skin, especially my head and spine and dumping syndrome. I had regular migraines, and completely lacked the ability to process or retain any information. My life became dominated by severe palpitations and chest pain (which we later learnt was the result of severe stage four adrenal exhaustion), horrendous muscle pain and fatigue, like nothing I had ever experienced. I was wired by the slightest stimulation and my life was dominated by pain and insomnia. The cycle was relentless, unforgiving and never-ending. I had so many questions and none were being answered; instead I was labelled depressed and severely anxious and medicated accordingly. The medication exacerbated all my symptoms, which led to doctors rotating medication until my body finally accepted its lot and fell into a deep state of despair. Finally, after ten long months of regular doctors’ visits, ongoing blood tests, MRI scans and other investigations, I was diagnosed with fibromyalgia. This was over 8 years ago and whilst the early years were incredibly challenging, not just for me, but for my entire family, I have been fortunate to work with incredible Nutritional Therapists and Osteopaths who inspired me to further my own knowledge and understanding in nutrition and health. Working with BANT-qualified nutritional therapists enabled me to gain a deeper insight into my body and how deficiencies in minerals and vitamins, high levels of toxicity and hormonal imbalance were all contributing to my symptoms and deteriorating health. The use of functional tests enabled us to demystify a very complex problem. Slowly each test highlighted very specific information that enabled us to focus our attention on areas that desperately needed the right nutrients and support to function. 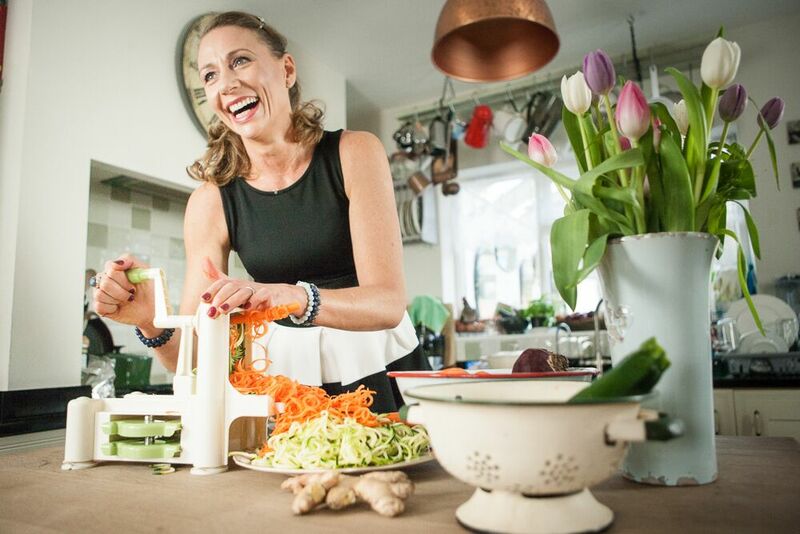 It was through this journey of working with qualified Nutritional Therapists and my own research into this fascinating field of science, that I started to realise the value that each person can add to their life by working with a qualified Nutritional Therapist. The bedrock of good health is good nutrition; there are no short cuts and no quick fixes, but the results are so worth it! The earlier we pay attention to what our bodies need, the better chance we have for optimal health. For this reason, I am passionate about working with children and setting a solid foundation on which to build a healthy life. My own experiences and journey with nutrition have given me a deep understanding of just how challenging it can be to integrate nutritional and lifestyle changes into your life. I therefore appreciate that each individual’s journey will be unique and whilst some may require a more hands-on approach to facilitate baby steps, others may integrate significant changes from the outset. Our bodies have the most amazing capacity to heal and I genuinely believe that with the right guidance and support we can all live healthier and happier lives. I am personally so grateful that I have my life back and now in a position to guide others to take the right junction on their journey to wellness. Disease is often the result of years of ‘wrong doing’ in the body and each of us hold the key to take the right junction to a healthy pathway in life. Many will say that genetic factors play a key role in our future, and in some ways, they do, but through epigenetics we also know that each and every one of us hold the power to change our genes simply through the food and lifestyle we choose. Let me guide you to find your pathway to healthy living as after all we only get one body to live in, so be kind to it. My areas of interest are in all aspects of gut health and in particular, IBS and Small Intestinal Bacterial Overgrowth (SIBO). I have recently completed my training with Dr. Alison Siebecker, a world leader in the treatment of SIBO. I am also passionate about fibromyalgia, ME, CFS, auto-immune conditions, allergies, chronic health conditions, weight management, women’s health , children’s health and more recently the power of mitochondrial therapy. If you are still unsure whether making an appointment with me is right for you, why not book in for a 15 minute free consultation where we can discuss all available options.